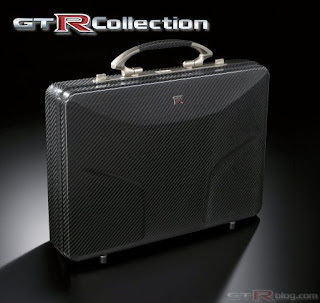 For April, new GT-R labeled items for you to spend your money on. However all these items are only available in Japan, or from the Nissan Japan online store. So, brush up on your Japanese, and get your credit card ready. I hope your credit card is pretty buff,the briefcase price looks like 500,000 yen. At current exchange rates - $5020.